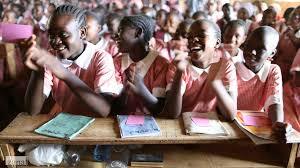 The House of Hilkiah Foundation, an NGO, in Benue says it is sponsoring 100 girls in various secondary schools in the state to prepare them for higher education. Miss Dorothy Akende, the Chief Executive Officer of the foundation said this in Makurdi on Thursday. She hoped that the effort of the foundation would enable the girls to have a sound education and prepare them for a responsible leadership role in the country in future. Akende promised that the foundation would sponsor the girls concerned up to university level as part of its commitment toward promoting girl-child education in the state. “We selected the most brilliant students in rural areas and motivated them with basic educational facilities, to encourage parents to enrol their children in schools. “We saw a gap in the education of the girl-child, especially in the rural areas. “Our attitude toward the girl-child education must change for better if we really want to turn our society around for the better,’’ she said. She advised the three tiers of government to continue to evolve education policies and programmes that would enhance qualitative education for the girl-child, through the provision of adequate learning materials in public schools. Akende said that the foundation would continue to mobilise youths to shun all forms of violence to ensure peace, progress and political stability of the state.